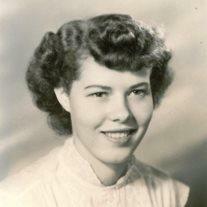 Eunice Ann Sullivan Taylor, 81, passed away June 20, 2014 in Mesa, AZ. She was raised with her 11 siblings in Bloomfield IA, where she met her future husband, Bob Taylor. They hit it off right away, proven by her famous statement “I wouldn’t go out with that old Bob Taylor even if he asked me!” Lucky for many he did ask her and she did say yes! Together they started their family and moved them out to Mesa AZ in 1962, where they continued their dedication not only to their own children but to others as well, Bob through his teaching and Eunice through her child care and resource support. She is survived by her children, Michael E. Taylor, Paula Sue Nasater, Karie Lynn Taylor, Robert L. Taylor, six grandchildren and one great-grandchild. In addition to raising her own four children she was known as “Momma Taylor” to many more children through her years of providing childcare in her home. When she was not caring for children in her home she was caring for them at Webster Elementary school in Mesa, where she received several awards for her work in resource support. She was a published poet and her love of poetry led to her to bringing the experience of poetry to many young lives. She was an extraordinary women, daughter, wife, mother, neighbor and friend. Her ready smile, sense of humor, unconditional love and infinite kindness will be missed. Funeral services are Saturday, June 28, 2014 at 11 AM, preceded by a visitation at 10 AM at Bunker’s Garden Chapel, 33 N. Centennial Way, Mesa, AZ. In lieu of flowers a donation to Hospice of the Valley would be appreciated.